Didn’t I mention that I was approved to host a Chinet Bakeware Party? YES! Finally after being denied by different company for many times, this is the very first time I got for an approval to host. 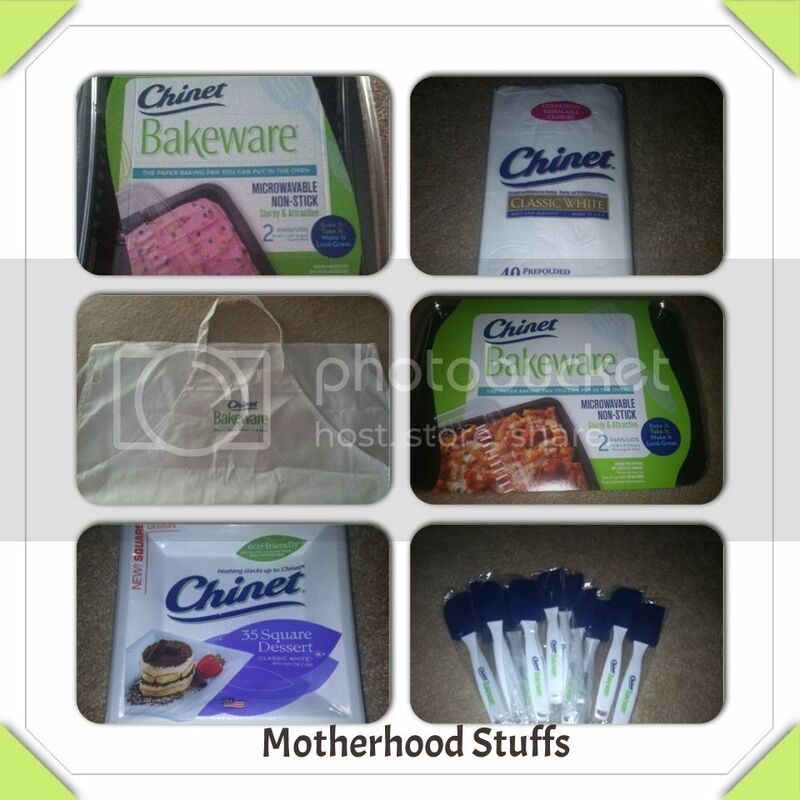 They send me the stuff above, I love the freebies, and the Chinet Bakeware set as well. You should try their product you will see and love what I’m saying here. That is awesome, now yo]u have to do a lot of baking hehehe. I will definitely check them out -I love baking myself and these stuff will be good to use too. Chinet looks like a nice bakeware. Good luck on the party. Wow! Chinet party! Reminds me of those old tupperware parties. I bet you will be baking up a storm!